Rate: $12 per night (includes 2 people), additional adult (16+ years) $6 per per night, additional child (5-15 years) $3.50 per per night, infants (0-4 years) free. Free park entry in this area of the park. Check in after 11am, check out before 11am. This is a remote campground so please arrive well prepared. There’s limited mobile service in the campground. 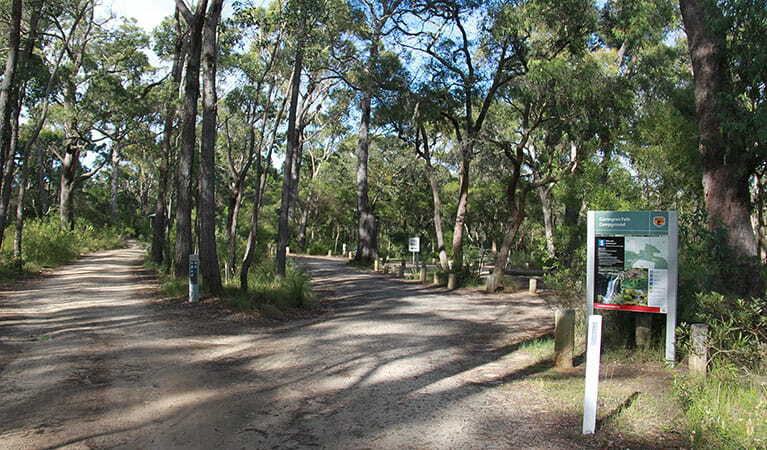 If you’re planning to visit the spectacular Carrington Falls waterfall, this small and simple campground next to the Kangaroo River is a tranquil spot to set up camp. 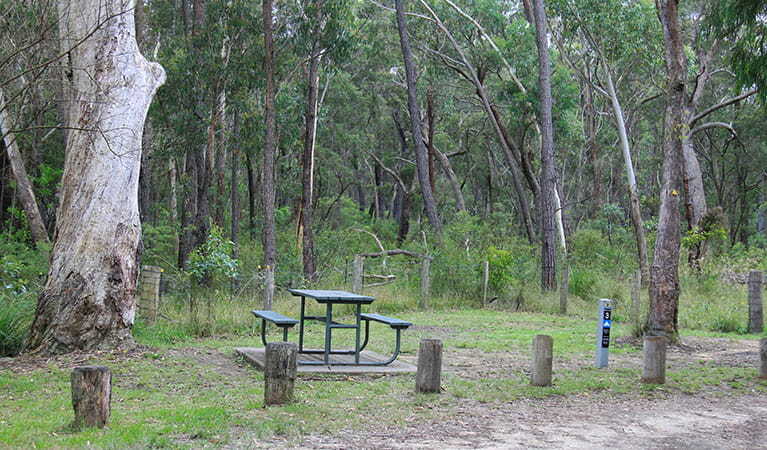 For a morning stroll, make your way to Izzards lookout which rewards you with views of the lush forest below. 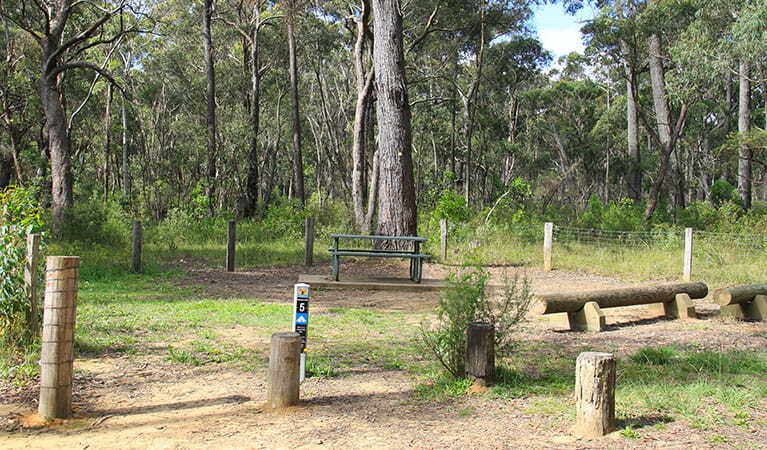 Or stretch your legs on the longer Missingham lookout and Warris Chair lookout walking tracks for front-on views of the deep gorges of Carrington Falls. Spring is an ideal time to drop in, with pops of yellow and red native flowers blooming in the bloodwood forest. If you’re camping in the warmer months, slip on your swimmers and take the plunge in one of the nearby swimming holes.